How much did Nike pay for ‘Just do it’? Just do it: three one-syllable words – each one free and easy to find in the dictionary. 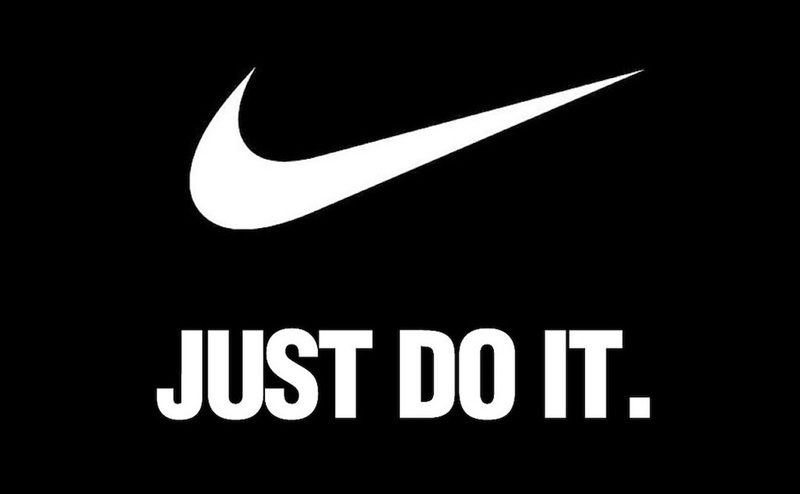 I’ve spent hours searching for the dollar amount Nike invested in what is generally accepted as one of the best slogans of the 20th century. Nike founder Phil Knight was happy to throw money at professional athletes, but famously cheap when it came to marketing fundamentals, paying the creator of Nike’s trademarked swoosh, Carolyn Davidson, just $2 per hour for her work in 1971. At the time she was a graphic design student at Portland State University, so perhaps the pay was good. Who knows, but Knight certainly got a bargain. Launched almost two decades after the birth of Nike’s swoosh, ‘Just do it’ was the brainchild of Dan Wieden, the founder of Nike’s then US advertising agency Wieden+Kennedy. Doubtless Wieden’s charge-out rate dwarfed Davidson’s, but you’d have to ask Wieden to confirm the dollar figure Nike invested in its transcendent slogan. Thousands of dollars? Tens of thousands? Millions? Whichever the price, it was a second historic bargain for Nike – the ‘Just do it’ campaign is credited with increasing the company’s share of the North American domestic sport-shoe business from 18% to 43%, catapulting worldwide sales from $877 million to $9.2 billion from 1988 to 1998. If only Wieden had wangled a cut of sales instead of an agency fee. Though who knows – perhaps he did. But I doubt it given Knight’s $2 hour investment in the fabled swoosh. So how do you value a slogan? You can’t – at least not in terms likely to convince bean counters. Hard-nosed salespeople will argue that people don’t buy slogans – rather it’s Nike’s product innovation that distinguishes its shoes over the competition, so people buy them regardless. Brand folk will argue that the energy within the slogan drives Nike’s appeal among the millions of consumers who back then did not have a pair of Nikes in the wardrobe. Knight I’m sure made Wieden sweat like a ninja when the two negotiated the agency fee. But clearly both men came to an agreement and everything worked out nicely. The true value of a slogan is elusive, but a good one sticks in the minds of consumers and elevates a brand to iconic status, just as ‘Just do it’ did for Nike. What some brand owners don’t fully appreciate is the mountain of unseen work that goes in to developing a slogan. Slogans aren’t snatched from the air. They’re the product of brand essence – a kind of mission statement or long-term position of a brand; the raw energy that drives a brand and sets it free from being limited to a fact or a thing. The slogan creator’s job is to craft a unique expression of brand essence – a neat three-to-seven word summation of the brand’s enduring, competitive position – the idea you want to live inside the hearts and minds of customers. Capturing a good slogan is bloody hard work – and impossible without brand essence. Dig deep and you just might capture your own unique combination of three, one-syllable words that creates an icon.